Nautica are the leading provider of Yacht Charter sailing holidays in the Maltese Islands. Nautica offer a sailing holiday in Malta that is tailored to your individual requirements in the unique setting of the central Mediterranean. Nautica Ltd have been chartering yachts and boats in Malta since 1988 . We pride ourselves on our customer service and our fleet of modern yachts, which we operate and maintain and are regularly inspected by our experienced base technical management and operations team. 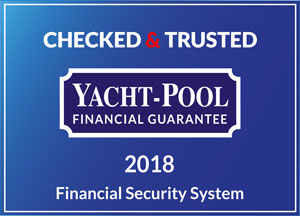 We offer charter yachts in Malta that are specifically equipped for bareboat and skippered charters providing the ultimate experience for the more experienced sailor or if required we can provide an experienced skipper to assist and act as your guide during your stay onboard allowing you to cruise at leisure. All of our yachts are built and fitted out by the worlds leading manufacturers and maintained to our high standards and come fully equipped with all the domestic, navigational and safety equipment, so contact our sales team to help you choose a yacht to suit your requirements. Nautica, your partner for yacht charter in Malta – offering bareboat and skippered charter, corporate team building sailing events, incentive tour sailing regattas and related activities. We also offer sailing and motor boat and Yacht charters to Sicily , Lampedusa , and Italy.